Magen Avos on Seder Night — Which Bracha Is First? If you do not go online or cannot locate them, please tell me which topics you would like and I’ll gladly e-mail them to you as attachments. With my best wishes to all for a chag kosher vesomayach! No doubt, many of our readers will assume that the gabbai is making a mistake — that we do not recite the bracha Magen Avos, also known as the bracha mei’ein sheva, when the first night of Pesach falls on Shabbos. However, as we will soon see, our gabbai may be well informed about the minhag in his community. A quiz question for the detectives among our readership is to figure out which community this is. The question raised by our gabbai reflects two different practices: reciting the bracha mei’ein sheva on Seder night, which is not a common practice today, and reciting Hallel in shul on Seder night, which is practiced by Sefardim, Chassidim, and is almost universally followed in Eretz Yisrael. Before answering his question as to which one should be recited first, we need to study the sources of both practices. What is the Bracha Mei’ein Sheva? The bracha mei’ein sheva, literally, an abbreviation of the seven brachos, is recited after we conclude the Friday night Shemoneh Esrei, immediately after the congregation recites together the pesukim of Vayechulu. (Although, technically, the term Shemoneh Esrei is an inaccurate description of the Shabbos davening, since it has only seven, and not eighteen, brachos, I will still use the common term Shemoneh Esrei.) This bracha is called mei’ein sheva because it is a synopsis of the seven brachos that comprise the Shabbos tefillah. The gabbai above referred to the bracha as Magen Avos, which is a common colloquial way of referring to this bracha, based on its opening words. Why did Chazal institute the Bracha Mei’ein Sheva? In ancient times, the shullen were often located outside the towns in which people lived, and walking home from shul alone at night was dangerous. Chazal, therefore, instituted this bracha after davening, so that someone who arrived late and was lagging behind the tzibur in davening would not be left to walk home unescorted (Rashi, Shabbos 24b). The recital of the extra bracha delayed everyone’s departure, thus allowing time for the latecomer to complete davening (Mordechai, Shabbos #407; Ran; Meiri). According to an alternative approach, the bracha mei’ein sheva is a form of repetition of the prayer. The individual who arrived late could listen to the chazzan’s recital of this bracha and thereby fulfill his responsibility to pray, even though the chazzan recited only one bracha, and the regular Shabbos tefillah is seven (Rav Natrunai Gaon, as explained by Gra, Orach Chayim 269:13). Although our shullen are no longer located outside our cities, once Chazal established this bracha, we continue with the practice, just as, in the time of the Gemara, the bracha was recited even in places where a person could safely walk home from shul unaccompanied (Meiri, Pesachim 100b; Ran [on Rif, Pesachim 20a]; Ohr Zarua, Hilchos Erev Shabbos #20; Kolbo #11, 35). Yet another reason is presented why Chazal introduced mei’ein sheva. In ancient times, there were occasions when it was difficult to obtain wine, and mei’ein sheva was instituted as a substitute for reciting Kiddush Friday night over wine (Yerushalmi, Brachos 8:1 and Pesachim 10:2; this passage of Talmud Yerushalmi is quoted by Tosafos, Pesachim 106b s.v. Mekadeish). Why do we not recite mei’ein sheva on weekdays? If reciting mei’ein sheva was because of concern that returning from shul alone was unsafe, why did Chazal not introduce a similar prayer after weeknight maariv, so that a delayed individual was not placed in danger? Some Rishonim explain that in the era when the shullen were located outside the cities, someone who was delayed on a weekday would not have attended shul, but would have come home directly and davened there. On Shabbos and Yom Tov, however, he would not have wanted to miss the davening in shul. On the other hand, other Rishonim (Rosh, Berachos 1:5; Tur, Orach Chayim 236) explain that the bracha of Yiru Eineinu, recited during weekday Maariv by Ashkenazim in chutz la’aretz, was instituted so that someone delayed for maariv not be left alone in shul. Do we recite mei’ein sheva on Yom Tov? The Gemara states that the prayer mei’ein sheva was instituted only on Friday evening, and not on Yom Tov evenings that did not fall on Fridays (Shabbos 24b). Why was mei’ein sheva not said on Yom Tov? In the writings of the Rishonim, I found several answers to this question. One approach is that although the concern that someone may be left behind may have equally existed on Yom Tov, since the more common situation was on Shabbos, Chazal did not include Yom Tov in the takkanah (see Meiri, Shabbos 24b). Another approach is that on Yom Tov eve, people arrived punctually for davening, and there was no concern about individuals remaining alone (Mordechai, Pesachim #611). Based on the Yerushalmi that the reason for mei’ein sheva was because of the inavailability of wine, some later commentaries present a third reason why the takkanah was established only for Shabbos and not for Yom Tov. Since most authorities hold that Kiddush on Yom Tov is not required min haTorah (Maggid Mishnah, Hilchos Shabbos 29:18), Chazal did not create a takkanah to make sure that someone fulfill a mitzvah that is miderabbanan (Marei Kohen, Pesachim 117b). Do we recite the bracha mei’ein sheva when Yom Tov falls on Friday? (This case actually happens at the end of this coming Yom Tov, since the Seventh Day of Pesach falls on Friday.) The reason for reciting mei’ein sheva on a regular Shabbos was because people would work late on Friday afternoon, and as a result would arrive late to shul Friday evening. However, when Friday was Yom Tov, there would be no reason for someone to be delayed. Nevertheless, the poskim rule that we should recite mei’ein sheva, even when Yom Tov falls on Friday, notwithstanding that the reason for the takkanah does not apply (Kolbo #52). Reuven was the chazzan for the Friday night davening on a Shabbos that immediately followed Yom Tov. He began reciting mei’ein sheva, when Shimon reprimanded him, contending that one should not recite this bracha when Shabbos follows Yom Tov — since no one was working on Friday, the reason for the takkanah did not apply. Levi then got involved, saying that it is accepted that one does recite mei’ein sheva on Friday night following a Yom Tov. The shul then burst into a cacophony of voices, with Shimon’s and Reuven’s backers screaming at one another. Finally, Shimon shouted that Reuven was desecrating Hashem’s holy Name, since he was willing to recite a bracha in vain, and that if he did, Shimon would declare him to be in cherem, excommunicated! Reuven did recite the bracha mei’ein sheva, and a day later, opened his door to find Shimon and twenty of his backers there to notify him that he had been excommunicated! The Rivash was asked to rule whether Reuven was indeed in cherem because of Shimon’s declaration that he recited a bracha in vain, or, perhaps, Shimon should be placed in cherem for excommunicating someone without proper cause. The Rivash ruled that Shimon was mistaken, and that one should recite mei’ein sheva when Shabbos follows Yom Tov. Therefore, he concluded that Reuven, who followed the correct halachah, could completely ignore the cherem placed on him. However, he also concluded that since Shimon thought he was acting correctly, we do not excommunicate Shimon for his actions (Shu’t HaRivash #34). When Yom Tov falls on Shabbos and we recite the bracha mei’ein sheva on Friday night, do we mention Yom Tov in the bracha mei’ein sheva? The Gemara rules that when Yom Tov falls on Shabbos, the chazzan makes no mention of Yom Tov, since on Yom Tov we do not recite this bracha (Shabbos 24b). Do we recite mei’ein sheva when Shabbos falls on Yom Kippur? Logically, there is a strong reason that we should not, since no one arrives that late to shul on Kol Nidrei night, and, furthermore, the many piyutim recited allow for ample time for someone to finish davening and not be left behind. Nevertheless, the poskim rule that we recite mei’ein sheva when Yom Kippur falls on Shabbos (Kolbo #70). What is the halachah regarding reciting mei’ein sheva when Seder night falls on Shabbos? The Tur cites no disputing opinion to this statement of Rabbeinu Nissim, although when the Beis Yosef discusses this halachah, he quotes the Abudraham, who cites a dispute about the practice and concludes that common practice is to recite mei’ein sheva on Seder night. This is curious, because the Abudraham lived in Spain, whereas his contemporary, the Tur, who lived in Spain at the same time, mentions only the practice of omitting mei’ein sheva on Seder night. Another early authority who reports that one should recite mei’ein sheva on Seder night is the Shibbolei HaLeket (#219). (1) According to the opinion of the Yerushalmi that mei’ein sheva was instituted to guarantee that everyone fulfilled the mitzvah of Kiddush Friday night, some authorities note that on Seder night, everyone would have wine for Kiddush and the arba kosos, thus rendering the bracha unnececessary (Mar’ei Kohen, Pesachim 117b). (2) Since no one is permitted to work erev Pesach afternoon, there is no reason to assume that someone would come to shul late on Seder night. (3) Everyone comes to shul early on Seder night so that they can get home early and begin the Seder in a timely fashion. The Shulchan Aruch (Orach Chayim 487:1), mentions only the practice of omitting mei’ein sheva on Seder night, which became the most common accepted practice. However, there are many places that do say mei’ein sheva on the first night of Pesach. For example, the old custom in many German communities was to recite mei’ein sheva on Seder night. Similarly, the Kaf HaChayim (487:22) quotes several prominent Sefardic authorities, including the Rashash and Rav Chayim Palachi, who recited mei’ein sheva on Seder night. The Kaf HaChayim furthermore quotes that the Sefardic minhag in Yerushalayim follows the practice of the Arizal, who recited mei’ein sheva on Seder night, although I found other sources quoting the Arizal as holding that one should not recite mei’ein sheva on Seder night (Shiyurei Bracha, Orach Chayim 642; Chazon Ovadiah, Pesach pages 231 and 235). The Kaf HaChayim quotes the Rashash as contending that, since the Gemara does not mention that Pesach should be treated differently because it is leil shimurim, one should recite mei’ein sheva on Seder night. The question raised by these authorities is that there are several other occasions when the reasons for reciting mei’ein sheva do not apply, such as when Yom Kippur falls on Shabbos, or when Yom Tov fell on Friday, and yet universal accepted practice is to recite mei’ein sheva on these occasions. This last argument is countered by the Radbaz, who contends that when the original takkanah was made concerning mei’ein sheva, Chazal specifically exempted Seder night because it is leil shimurim, but they did not exempt any of the other dates mentioned (Shu’t HaRadbaz 4:16). As a matter of practice, many congregations that follow the old German customs indeed recite the bracha of mei’ein sheva on Seder night, but other Ashkenazi communities do not. Among Sefardi authorities, Rav Ovadyah Yosef (Shu’t Yabia Omer 2:OC:25; 4:OC:21; Chazon Ovadyah) feels very strongly that one should not recite mei’ein sheva on Seder night, whereas Rav Ben Zion Abba Shaul ruled that each congregation should follow its custom (Shu’t Or LaTzion, Volume 3 page 174). Thus, we see that, although the prevalent practice is to omit mei’ein sheva on Seder night, there are communities that do recite it. Now let us explain the other part of the question: “Which comes first, Hallel or the bracha mei’ein sheva? (1) In Chazal’s times, there were no siddurim, and therefore the common people davened together with the chazzan or by listening to the chazzan’s prayer. (This is one reason why the chazzan is called a shaliach tzibur, which literally translates as the emissary of the community, since he indeed prayed on behalf of many individuals.) On the days that we are required to recite Hallel, these people listened and responded to the chazzan’s Hallel, thereby fulfilling their mitzvah. However, how could they fulfill the mitzvah of reciting Hallel on Seder night when they were home? They did so by reciting Hallel together with the chazzan in shul, before coming home (see Gra, Orach Chayim 487). (2) A different approach contends that the community recited Hallel in shul the first night of Pesach in order to fulfill the mitzvah with a large group. Although one may recite Hallel by oneself, reciting it communally is a greater observance of the mitzvah. Neither of these two approaches necessarily assumes that Hallel on Seder night requires a bracha. Indeed, the Chazon Ish recited Hallel in shul Seder night without reciting a bracha beforehand, and there are congregations in Bnei Braq that follow this approach. (3) A third approach contends that the primary reason for reciting Hallel in shul is to recite a bracha beforehand. These poskim contend that Hallel at the Seder would require a bracha, if it were not interrupted by the meal. To resolve this predicament, Hallel is recited twice, once in shul with a bracha and without interruption, and then a second time, during the Seder. This is the prevalent practice by Sefardim, Chassidim, and the most common approach followed in Eretz Yisrael today (see Gra, Orach Chayim 487). Now, the quiz question: Of what type of community is our gabbai a member? One finds the practice of reciting mei’ein sheva Seder night only among two communities: some Sefardim and some German kehillos. The German kehillos do not recite Hallel in shul Seder night, but the Sefardim universally do. Thus, our gabbai‘s community is a Sefardic congregation that has the practice of reciting mei’ein sheva Seder night. Someone creating a new kehillah and establishing new customs should certainly not recite mei’ein sheva on Seder night, since this is the opinion of most Rishonim, and is followed by the Tur, the Shulchan Aruch and the vast majority of later authorities. In addition, the rules of safek bracha lehakeil imply not to recite a bracha when there is a question whether one should do so or not. Nevertheless, in a congregation or community where the practice is to recite mei’ein sheva Seder night, one should do so before Hallel. 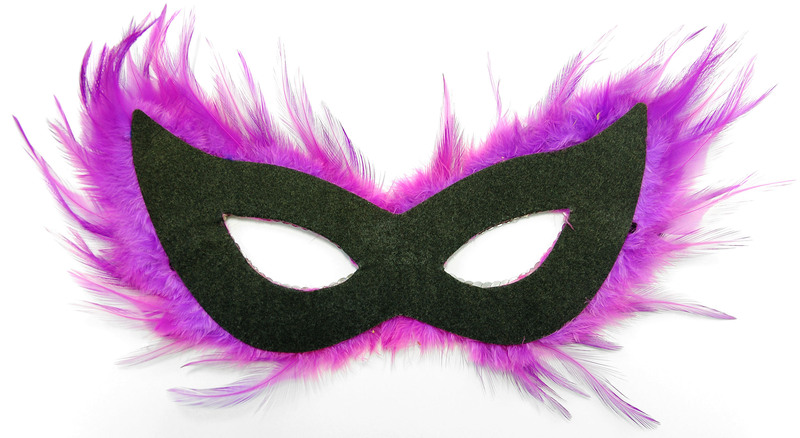 Is there a halachic basis for the various local observances, such as Purim Frankfurt, Purim Cairo and Purim Ancona? In the course of Jewish history, there have unfortunately been numerous occasions when communities suffered from major crises that threatened their survival. We began talking about this topic last week, and this article is a continuation of that discussion. Since the Pri Chodosh rejects the creation of new holidays as long as the Beis Hamikdash is destroyed, how should one thank Hashem for saving him? In the time of the Beis Hamikdash, an individual thanked Hashem by offering a korban todah (see Brachos 54b), but what does one do now that it is destroyed? Many authorities approve making a festive meal, called a seudas hodaah, instead, to commemorate the occasion, but the Pri Chodosh himself considers these meals seudos reshus and not seudos mitzvah, implying that he does not consider this the most appropriate way to acknowledge thanks to Hashem. Another option is to bensch gomel as the fitting acknowledgment of thanks. However, bensching gomel is not always the appropriate approach, as the next discussion will indicate. Should someone bensch gomel when saved from a situation where he was willing to give up his life al Kiddush Hashem? The Chida, in his Machazik Brocha commentary to Shulchan Aruch (219:1-3), presents a lengthy correpondence that transpired between his father and another talmid chacham, Rav Eliezer Nachum. Rav Yitzchak Zerachyah Azulai, the Chida’s father, contended that only someone who was placed in a situation involuntarily, including one who traveled by sea or through the desert because circumstances compelled him to endanger himself, recites birkas hagomeil, but not someone who chose to give up his life to fulfill the mitzvah of Kiddush Hashem. Even when someone in the latter situation is saved by an obvious miracle, he should not recite birkas hagomeil since, had he lost his life, he would immediately have been elevated above all that this world could possibly offer. Similarly, he rules that the kohen gadol does not recite birkas hagomeil upon leaving the kodesh hakodoshim on Yom Kippur, since his entering was to fulfill the mitzvah of Hashem. Furthermore, he adds, a kohen gadol worthy of his position was never in any danger to begin with – only an unworthy kohen gadol need be concerned of the dangers of entering the kodesh hakodoshim on Yom Kippur. Rav Elazar Nachum disagreed strongly with Rav Azulai’s position. Rav Nachum notes several midrashic and Talmudic passages that mention the tremendous songs of praise that were sung by great tzadikim upon surviving these travails. Certainly, upon surviving these dangers one is required to recite birkas hagomeil to thank Hashem for his salvation. The Pri Chodosh could accept the ruling of the Meiri that one may recite Hallel without a brocha, since this does not declare that the day is holy. However, any observances that imply giving sanctity to the day, such as prohibiting fasting and eulogies or banning people from working, are not binding, according to the Pri Chodosh. Notwithstanding that the Pri Chodosh disputed the conclusion of the Maharam Alashkar, two highly respected later authorities, the Chasam Sofer and the Chayei Odom, both reject the Pri Chodosh’s analysis and rule according to the Maharam Alashkar. The Chasam Sofer (Shu’t Orach Chayim #191) demonstrates that a holiday created to thank Hashem for a miracle He performed has halachic significance and must be observed — unlike the special days recorded in Megillas Taanis. Nevertheless, the Chasam Sofer adds a qualification — a community can create a special festival only when they were saved from a life-threatening situation. The Chasam Sofer concludes, like the Maharam Alashkar, that the takkanah to observe a holiday may be binding even on descendants of town residents who no longer live where the salvation occurred. He notes that his rebbe, Rav Nosson Adler, a Frankfurt native, observed Purim Frankfurt even when he did not live in Frankfurt. However, when living out of Frankfurt, Rav Nosson Adler did not fast on the day before Purim Frankfurt. The Chasam Sofer assumes that this was because Rav Adler held that observing the fast while in a different community may conflict with the customs of where he was currently living, and halachah prohibits acting in a manner different from local practice. The Chasam Sofer, who was always proud that he had been born in Frankfurt, lived the rabbinic years of his life outside of Germany. He records that, although he did not fast on the day before Purim Frankfurt, he conducted a siyum mesechta on that day in order to supersede any requirement to fast, similar to our practice on Erev Pesach. Another later authority who rejected the Pri Chodosh’s criticism of the Maharam Alashkar’s ruling was the Chayei Odom (155:41). He concluded that an individual, and certainly a community, can establish a day to be their own festival. Based on the ruling of the Maharshal, which I will quote shortly, the Chayei Odom ruled that a meal observed because of a community’s thanksgiving has the halachic status of a seudas mitzvah. Futhermore, the Chayei Odom contended that had the Pri Chodosh seen what the Maharshal wrote (Yam shel Shelomoh, Bava Kama 7:37), which the Chayei Odom notes was not yet printed in the days of the Pri Chodosh, the Pri Chodosh himself would also have accepted that these thanksgiving seudos qualify as seudos mitzvah. What did the Maharshal write that the Chayei Odom felt was so authoritative? The Maharshal cites a different Gemara source and rationale for the practice of celebrating a festive meal in honor of salvation. The Gemara (Bava Kama 80a-b) mentions that Rav, Shmuel and Rav Assi all attended a seudas mitzvah, which, according to one version of the Gemara, was probably a pidyon haben. The Maharshal notes that the Gemara (Chullin 95b) states that Rav never ate from a festive meal unless it was a seudas mitzvah. Furthemore, we do not find that the Gemara characterizes pidyon haben as a seudas mitzvah. Therefore, asks the Maharshal, why Rav would have participated in this seudah? The Maharshal answers that making a festive meal in order to bring attention to the observance of a mitzvah or to thank Hashem that a miracle happened is a seudas mitzvah. He then quotes an earlier authority who held that a pidyon haben qualifies as a seudas mitzvah (Terumas Hadeshen #269). The Chayei Odom concludes halachically like the Maharshal that celebrating salvation by Hashem with a festive meal qualifies as a seudas mitzvah. The Chayei Odom closes his remarks on this topic by noting that he actually established a Yom Tov for himself and his descendants because of a salvation that his family experienced. On the evening of the 16th of Kislev 5564 (1803), a gunpowder explosion blew up several buildings in the area where the Chayei Odom lived, killing thirty-one people. Every member of the Chayei Odom’s family suffered injuries, his wife most severely. The windows and door of the room imploded and the walls and sections of the roof crashed. The Chayei Odom thanked Hashem that, although he suffered major financial loss from the catastrophe, every member of his family survived. To commemorate the event, the Chayei Odom instituted that the physically-able members of his family and his descendants should fast on the 16th of Kislev. The night after the fast they should gather immediately after maariv to kindle lights as one does on Yom Tov, recite the entire Shir Hayichud, slowly and with the accustomed melody, as is the custom after maariv on Yom Kippur night. The Chayei Odom’s observance continues: After reciting Shir Hayichud, they should recite Anim Zemiros with a festive tune, and then read slowly through sixteen selected chapters of Tehillim. After this ceremony, they should give as much tzedakah as they are able and those descendants who can financially afford it should sponsor a seudah for scholars who study Torah. Other gedolei Yisrael chose to commemorate their salvation in other ways. The Pnei Yehoshua decided to write his sefer, which is one of the most basic works on Shas, because he survived a fire and explosion. To recite Hallel to commemorate Hashem’s salvation. The authority of a community to establish a festival and regulations. A festive meal to thank Hashem qualifies as a seudas mitzvah. Having discussed the halachic background for these festivals, let us note some curious aspects of some of these local celebrations. To the best of my knowledge, the record for local Purims was held by the Jewish community of Ancona, Italy, which observed four different dates as special festivals, each in thanks to Hashem for being saved from a different catastrophe: revolutionary riots, an earthquake, and two fires. As was done with Purim Frankfurt and Taanis Esther, they observed a fast on the day before. One of the unusual observances was Purim Rhodes, which was celebrated on the day of Purim itself! In 5600 (1840), a gentile child disappeared and the Jews were accused of the frightening blood libel — slaughtering the child to use his blood for matzohs. The local governor was behind the incitements against the Jews. As the Jews prepared for what they expected to be their last Purim, the child was found alive on a neighboring island. The sultan deposed the governor, and gave the Jews a firman declaring that the accusation of ritual murder was false. As a result, the Jews of Rhodes read special prayers and hymns on Purim to commemorate their communal miracle. One very early observance serves as a reminder of how each Jew must assume responsibility for all his brethren. On the 21st of Adar, 1236, in Narbonne, France, the rash action of one Jew who struck a gentile in an argument, killing him, endangered the entire community. A mob rioted, threatening to kill everyone in the Jewish quarter. Fortunately, the local officer and his soldiers arrived just in time to avert calamity. This should serve as a powerful reminder of how one thoughtless Jew can endanger all. Rav Hirsch (Commentary to Tehillim 100:1) notes that the root of the word for thanks is the same as that for viduy, confession and admitting wrongdoing. All kinds of salvation should elicit in us deep feelings of gratitude for what Hashem has done for us in the past and does in the present. This is why it can be both an acknowledgement of guilt and thanks. We often cry out to Hashem in crisis, sigh in relief when the crisis passes, but fail to express our thanks adequately for the salvation. Our thanks to Hashem should match the intensity of our pleas. In our daily lives we hopefully do not encounter the types of dangers that we have described above, yet we should still fill our hearts with thanks, focus these thoughts during our recital of mizmor lesodah, az yashir, modim or at some other appropriate point in our prayers. In the course of Jewish history, there have unfortunately been numerous occasions when communities suffered from major crises that threatened their lives. Upon surviving these travails, many communities chose to commemorate the event by creating a Yom Tov with special observances to thank Hashem for His salvation. Many of these observances were called “Purim,” and in the course of the last several hundred years there were dozens of recorded local Purims, some that were celebrated by the Jewish community of a town or city, and others that were observed by families. Some of these commemorations included that the festival was preceded by a fast day, similar to Taanis Esther preceding Purim. As the events of the last seventy years have emptied many of these communities of their Jews, most of these celebrations and the miracles they commemorate have become forgotten. This article will be concerned primarily with the halachic sources and controversies concerning these celebrations. But first, let me share some of the background events of a few of these local observances. One of the earliest recorded local holidays is a festival that was celebrated in Cairo on the 28th of Adar, which bears a strong similarity to the original Purim. In 5284 (1524), the Governor of Egypt, Ahmed Pasha, became a very powerful ruler, although he was officially responsible to the Ottoman Empire and Sultan Suleiman the Magnificent. Pasha craved the wealth of many of the Egyptian Jews and, in order to seize their possessions, he arrested twelve prominent leaders of the Jewish community, including the community’s rav, the Radbaz. Pasha demanded an exorbitant ransom, far more than the community could ever raise, to be paid by the 28th of Adar, or he would execute the captives and exile the rest of the community. On the day set for the ransom deadline, Pasha was assassinated by some of his servants who knew that he was plotting to overthrow the sultan. The 28th of Adar was joyously proclaimed a local festival and was observed for as long as a sizable Jewish community existed in Cairo. The rogue of the Purim Frankfurt story (5374/1614), Vincent Fettmilch, actually called himself the “new Haman of the Jews.” He was a fiery agitator whose hordes attacked the Jewish quarter of Frankfurt. After two years of anti-Semitic disturbance, he angered the Holy Roman Emperor, who had Fettmilch hanged. The Jewish community commemorated these events by creating a fast day, similar to Taanis Esther, on the 19th of Adar, and a festival on the 20th, which was called Purim Frankfurt. A special megillah was written, known as Megillas Vinz (for Vincent), to commemorate the occasion. Purim Kidebuni was a festival observed in parts of North Africa. In 5465 (1705), the governor of Tunis, warlord of one faction of the barbary pirates, laid siege to Tripoli, threatening to decimate the population should he conquer the city. Fortunately, disease broke out suddenly among his followers, and the siege failed. A festival was declared for the 24th of Teiveis. On the 4th of Marcheshvan, 5302 (1541), Charles V of Spain attempted to seize Algiers, where many Jews had taken refuge fifty years earlier when fleeing during the Spanish expulsion. The Spaniards landed, but their fleet and army were destroyed by a storm because of the prayers of Rav Shelomoh Duran, a descendant of the Tashbeitz. Thus the Jews were spared facing expulsion a second time and the inquisition that the Spaniards would have brought with them. For obvious reasons, they called the holiday they established Purim Edom. These are a few examples of the kinds of local festivals that were established to thank Hashem for His kindness. The first question we have is whether we can find a halachic source for a community establishing its own local festival. — In addition to singing Az Yashir upon surviving keriyas yam suf, Moshe and the Bnei Yisrael also sang Hallel (Rashbam). — Yehoshua and the Bnei Yisrael sang Hallel after their victory over the 31 kings. — In addition to the song of Devorah, she and Barak recited Hallel after their victory over Sisra. — Chizkiyah sang Hallel when he survived Sancheiriv. — Chananyah, Misha’el and Azaryah sang Hallel when Hashem saved them from the fiery furnace. — Mordechai and Esther recited Hallel when they were in control of the city of Shushan. The reason for the reciting of Hallel by Chananyah, Misha’el and Azaryah is somewhat different from the other events recorded in the Gemara. In all the other instances, the entire Jewish nation was imperiled and saved, whereas, in their situation, Chananyah, Misha’el and Azaryah were saved as individuals. One may have thought that Hallel should be recited only to thank Hashem for the saving of the entire nation. However, we see from Chananyah, Misha’el and Azaryah that reciting Hallel is an appropriate way of thanking Hashem even for a salvation that affected only individuals. In his halachic commentary on this Gemara, the Meiri (Pesachim 117a) rules that an individual or community may establish a practice of reciting Hallel every subsequent year as a commemorative way to celebrate their salvation, provided that they do not recite a brocha prior to reciting the Hallel. To quote the Meiri: “Any individual who was redeemed from a potential calamity may institute that he recite Hallel that day every year, albeit without reciting a brocha beforehand. The same is true for every community. In fact, a practice of the prophets was to recite Hallel whenever one was redeemed from trouble.” Thus, a community or an individual may establish the annual recital of Hallel on a specific date to commemorate an event of salvation. Are individuals who have relocated from a community required to continue observing the local Purim? I found this question discussed about five hundred years ago by Rav Moshe ben Yitzchak Alashkar, known as the Maharam Alashkar, a gadol of his generation, who received halachic inquiries from the greatest gedolim of his era, including the Mahari Beirav, Rav Eliyahu Mizrahi, and the Maharalnach. It is interesting to note the difficulties and wanderings of the Maharam Alashkar himself. Born about 5226 (1466) in Spain, he was expelled in 1492 with all the other Jews, and in his escape from Spain was captured by pirates who threatened to execute him. Eventually, he escaped from the pirates and found refuge in Tunis, but the Jews of this community were then expelled. The Maharam Alashkar wandered onward to Greece, then later Cairo, and eventually succeeded in settling in Yerushalayim, where he passed on in 5302 (1542). In addition to probably being the posek hador in the Mediterranian basin, he was also the source of many teshuvos of the geonim that would otherwise have been lost, and he translated responsa of the Rambam from Arabic into Hebrew. The following question that the Maharam Alashkar discusses is germane to our discussion: A local takkanah (based on other evidence, I believe it was Sepanto, Italy) had established the 11th of Teiveis as a local festival, for the Jews of that town and their descendants wherever they would reside, in commemoration of some deliverance that had transpired on that date. The question was: The community is now destroyed. Must they continue to observe this takkanah? The Maharam Alashkar first quotes the Talmudic sources that a community has the ability to establish regulations that are binding on its members. He writes that although regulations and customs of a community are, in general, not obligatory upon someone once he relocates, when the community accepted upon its members and their descendants to follow a certain practice regardless of whether they reside in the original location, they must continue observing the practice even after they relocate (Shu”t Maharam Alashkar #49). His conclusion is quoted by many prominent halachic authorities as definitive (Magen Avraham, 686:5, Elyah Rabbah, 686:5, Mishnah Berurah, 686:8; also see the Chayei Odom and the Chasam Sofer that I will quote later in this article). Our next discussion is the extent to which we go to celebrate a personal Purim. Sena’ah was the name of one of the large Jewish family clans that returned from Bavel together with Ezra (Ezra 2:35; Nechemiah 7:38). According to the Mishnah (Taanis 26a), they were descended from the tribe of Binyamin (see Tosafos, Eruvin 41a s.v. Mivnei) and they brought wood to the Beis Hamikdash on the tenth of Av, which was then observed as a day of celebration. The Gemara (Eruvin 41a; Taanis 12a) records that the Tanna Rabbi Elazar ben Tzadok, continued to observe this date even after the churban (Tosafos, Taanis 12a s,v, Hasam), although the cause for the celebration no longer existed. This is even more surprising since Rabbi Elazar ben Tzadok himself was a kohen (see Bechoros 36a), and therefore not descended on his father’s side from Sena’ah and the tribe of Binyamin. As Tosafos (Eruvin 41a s.v. Mivnei) notes, his observance of this date as a family festival was either because his membership in this family clan was from his mother’s side or because his wife was a descendant of the tribe of Binyamin and a member of this family. As we know, when Tisha B’Av falls on Shabbos, the fast day is observed on Sunday, which is the tenth of Av. Since we now know that the Sena’ah family observed the tenth of Av as a festival even after the churban, what did they do when Tisha B’Av fell on Shabbos, causing the national day of mourning to coincide with their personal festival? The Gemara quotes Rabbi Elazar ben Tzadok as saying that they began the fast together with the rest of klal Yisrael, but did not complete its observance to the end of the day since it was a family festival. This means that they ate on the day that the rest of klal Yisrael was still observing all the laws of Tisha B’Av! We see the extent to which the observance of the family festival was kept. Based on this Gemara, the Maharam Alashkar ruled that a local festival must continue to be observed. However, the Maharam Alashkar’s position on this question was not universally accepted. The Pri Chodosh (Orach Chayim 496:14) expressly disputes what the Maharam Alashkar writes, concluding that even a local resident does not need to observe the custom of local festivals and celebrations. The Pri Chodosh contends that the practice is not binding even while the original inhabitants continue to reside in the same city in which the miracle happened, and it is certainly not incumbent upon their descendants or anyone who relocated from the city. Explaining the Pri Chodosh’s objection to the Maharam Alashkar’s ruling requires an introduction regarding an ancient manuscript called Megillas Taanis, which the Gemara (Shabbos 13b) teaches us was written by the Tanna Chananyah ben Chizkiyah, who lived at the end of the second Beis Hamikdash period (Rambam, Introduction to Peirush Hamishnah, towards the end). Megillas Taanis is a list of dates on which miraculous events occurred. To commemorate these celebrations, Chazal prohibited fasting and conducting eulogies on these dates. After the destruction of the Beis Hamikdash, a dispute (Rosh Hashanah 18b-19b) developed as to whether these dates remained minor festivals prohibiting hespedim and fasts, or whether, in light of the churban, these festive days are no longer significant, a position that the Gemara calls: batlah Megillas Taanis, “Megillas Taanis is no longer in effect.” The Gemara (Rosh Hashanah 19b) concludes that, with the exception of Chanukah and Purim, batlah Megillas Taanis. It is also important to note the Gemara’s comment that if batlah Megillas Taanis, certainly no new days can be added as holidays (Rosh Hashanah (18b, 19a). The Pri Chodosh contends that the creation of any of these local festivals runs counter to the Gemara’s conclusion that batlah Megillas Taanis. He, therefore, concludes that the community declaring specific practices on these days has no halachic legitimacy and that one is not required to observe them. Hallel is our unique praise to Hashem that is reserved for special occasions. Whenever the Jews survived a crisis, they responded by singing Hallel. Thus, we sang Hallel when we crossed the Yam Suf and again after the allied kings of Canaan were defeated in the days of Yehoshua. Hallel was sung when Devorah and Barak’s small force defeated the mighty army of Sisra and when the huge army of Sancheiriv fled from Yerushalayim. It was also sung when Chananyah, Mishoel, and Azaryah survived Nevuchadnetzar’s fiery furnace and when the Jews were saved from Haman’s evil decrees. After each of these events, Jews recited Hallel to thank Hashem for their miraculous salvation (Pesachim 117a, see Rashi; cf. Rashbam). Hallel includes Chapters 113-118 of Tehillim, with some of the verses repeated. WHY DO WE RECITE THESE SPECIFIC VERSES? The Gemara (Pesachim 118a) says that these chapters of Tehillim were chosen for Hallel because they mention five unique events: (1) The Exodus from Egypt, (2) The Splitting of the Yam Suf, (3) The Receiving of the Torah, (4) The Resurrection of the Dead, and (5) The Travails of the Coming of Moshiach. Receiving the Torah is alluded to by the pasuk, “He’harim rakdu ch’eilim,” “The mountains danced liked rams.” This refers to the mountains that danced in excitement when the Jewish people received the Torah. (4) The Resurrection of the Dead is implied by the pasuk, “Es’haleich lifnei Hashem be’artzos hachayim,” “I will walk before Hashem in the land of the living,” thus alluding to a future time when the deceased will return to life. (5) The Travails of the Coming of Moshiach is implied by the pasuk, “Lo lanu Hashem,” “Not for our sake, Hashem.” This pasuk alludes to several calamitous events that will transpire in the era preceding Moshiach’s arrival. WHY ARE PARTS OF THE HALLEL REPEATED? The practice of repeating some pesukim of Hallel is already mentioned in the Mishnah (Sukkah 38a). Many interpretations are suggested for this custom. Rashi explains the reason for this custom as follows: From the words “Hodu Lashem ki tov” until “Pischu li shaarei tzedek,” every theme mentioned is repeated. After “Pischu li,” this style ceases. However, in order to make the rest of the Hallel continue this poetic style, the custom is to repeat these last pesukim. WHY DO WE SPLIT A PASUK IN HALF? During Hallel, we divide the pasuk “Ana Hashem Hoshia Na, Ana Hashem Hatzliacha Na” in half and recite it as two different pesukim. This practice is already mentioned in the Gemara (Sukkah 38b). Normally, it is forbidden to divide a pasuk, except to teach schoolchildren, who may find it too difficult to learn the explanation of an entire pasuk at one time (Megillah 22a). Why are we permitted to divide this pasuk during Hallel? Tosafos (Sukkah 38b) explains that this pasuk is different, because it was originally recited as part of a conversation between Dovid HaMelech and his family. Dovid’s brothers declared “Ana Hashem Hoshia Na” and Dovid responded “Ana Hashem Hatzlicha Na” (Pesachim 119a). Therefore, even though it was subsequently written down as one pasuk, it is treated as two separate statements during Hallel. WHY IS HALLEL RECITED STANDING THE WHOLE YEAR, BUT SITTING AT THE SEDER? Most mitzvos are performed while standing, and there are additional reasons why Hallel should be recited standing. Hallel testifies to Hashem’s miracles and wondrous deeds, and testimony must be made while standing (Mishnah Berurah 422:28). Furthermore, the pasuk in Hallel declares, “Sing praise, servants of Hashem who are standing,” implying that this is the proper way to give praise (Shibbolei Leket). On the other hand, at the Seder Hallel is recited sitting, because this demonstrates that we are freemen (Shibbolei Leket). Someone who recited Hallel while sitting need not repeat it (Mishnah Berurah 422:28, quoting Pri Megadim). WHEN SHOULD ONE RECITE HALLEL? Chazal derive from the verse of Hallel, “From when the sun rises in the east until it sets shall Hashem’s Name be praised,” that Hallel should be recited by day and not by night (Megillah 20b). Although the day begins when the eastern horizon lights up (amud hashachar), Chazal ruled that Hallel should not be said until after sunrise. One should preferably recite Hallel immediately after Shacharis. However, if one failed to do so, one can recite Hallel the entire day. The exception to this rule is when we recite Hallel on Pesach night as part of the Haggadah, since the miracle took place at night. Many communities have the custom of reciting Hallel in shul, also, that night. MAY ONE LEAN WHILE RECITING HALLEL? Resting one’s weight on a table or shtender in such a way that one would fall if the support was removed is considered the same as sitting. Therefore, many poskim contend that one may not lean while reciting Hallel (Magen Avraham 422:11). However, some poskim (Beis Meir; Biur Halacha) maintain that it is acceptable to rest one’s weight on a stand or table while reciting Hallel. WHY IS HALLEL ON SUKKOS DIFFERENT FROM HALLEL ON PESACH? Why do we recite the full Hallel every day of Sukkos, but only on the first day of Pesach? The Gemara gives a surprising answer. On Sukkos, we recite full Hallel daily, since each day of Sukkos has a different korban in the Beis HaMikdash, while on Pesach, we do not recite full Hallel every day, because the same korban was offered every day. Thus, we see that Yom Tov is not a sufficient reason to recite Hallel. There must also be something novel about the day. In a similar vein, we recite Hallel every day of Chanukah, because the miracle became greater every day as the oil miraculously continued burning. Therefore, each day is considered a new Yom Tov (Tosafos, Taanis 28b s.v. veyom). The Midrash provides a different reason why the full Hallel is not recited on Pesach — we should not recite Hallel at the time when our enemies suffered (quoted by Shibbolei Leket #174). There is no Hallel on Rosh HaShanah and Yom Kippur, because one should not sing on days when judgment is being rendered (Arachin 10b). Rambam explains that these are not days of total simcha, and that Hallel must be recited only on days of complete simcha (Hilchos Chanukah 3:6). Why we do not recite Hallel on Purim? After all, we do celebrate the tremendous miracle that transpired by saying the prayer Al HaNisim and performing many mitzvos. The Gemara provides three answers. (1) Because the miracle of Purim occurred outside Eretz Yisrael. (2) Because reading the Megillah is a form of Hallel. (3) Because in Hallel we say, “Praise Him, servants of Hashem,” and we are still servants of Achashveirosh (Arachin 10b). There is a practical difference between these opinions. According to the second opinion, someone who has no Megillah to read on Purim would be required to recite Hallel! Indeed, Rambam appears to rule according to this opinion (Hilchos Chanukah 3:6). Why do we say only a partial Hallel on Rosh Chodesh and the latter days of Pesach? Reciting the partial Hallel on these days originated as a minhag and not as a takanah of Chazal. Reciting partial Hallel on Rosh Chodesh as a custom is mentioned in a puzzling story. The Gemara relates that the Amora, Rav, went to Bavel. [It is unclear whether this meant the country of Bavel in the environs of present day Iraq, or the city of Bavel (Babylon).] Rav was perturbed when the congregation began reciting Hallel after the repetition of Shemoneh Esrei and was about to interrupt them. But when he noticed that they were skipping parts of the Hallel, presumably similar to what we do, he chose not to interrupt them, saying, “I see that they are observing a custom of their fathers” (Taanis 28b). Rav’s reactions seem very enigmatic. Why was he so concerned about their reciting Hallel that he was prepared to interrupt them in the middle? Furthermore, why did the fact that they omitted something make him change his mind? And, finally, why did he justify their practice on the basis that it was a custom of their fathers? To understand what happened, we need to understand what is wrong with reciting Hallel on days not included in Chazal’s takanah. The Gemara teaches us that someone who recites Hallel every day is a blasphemer (Shabbos 118b). What? A blasphemer! What’s so terrible about what he did? The Maharal explains as follows: Non-believers sometimes ask that if Hashem is all-powerful, why does He allow evil to exist? Why aren’t all evildoers immediately destroyed? But to believers, this is not a question at all, because they understand that Hashem allows the world to exist naturally, without His interference. If Hashem destroyed evildoers, His existence would be so obvious that there would be no reward for those who do His will. Therefore, Hashem allows the world to function without His obvious involvement. However, occasionally the need arises for Hashem to perform a miracle. When this happens, Hashem demonstrates His presence, and the world temporarily switches into “miraculous mode.” We commemorate these special occasions by reciting Hallel and celebrating the revelation of Hashem’s presence. But, reciting Hallel on an ordinary weekday implies that Hashem’s control over the world should always be obvious. This leads to blasphemy, because if Hashem’s control is obvious, non-believers can ask why evildoers continue to exist without Hashem destroying them. Thus, the non-believer interprets saying Hallel every day as proof that Hashem is powerless to stop the forces of evil. This is, of course, terrible blasphemy (Gevuros Hashem #61). This is why Rav was so disturbed when he noticed the people of Bavel reciting Hallel on a day that is neither Yom Tov nor a day when a miracle occurred. WHY DID RAV, INDEED, NOT STOP THE RECITAL OF HALLEL? Why did Rav change his mind when he realized that the people were omitting parts of Hallel? Although Rishonim record variant customs as to which parts of Hallel are omitted on Rosh Chodesh, every custom I have seen, as well as the usual practice today, omits the passages that include the words “Lo lanu” and “Ahavti” (see Rashi, Taanis 28b s.v. de’midalgi; Rambam, Hilchos Chanukah 3:7). 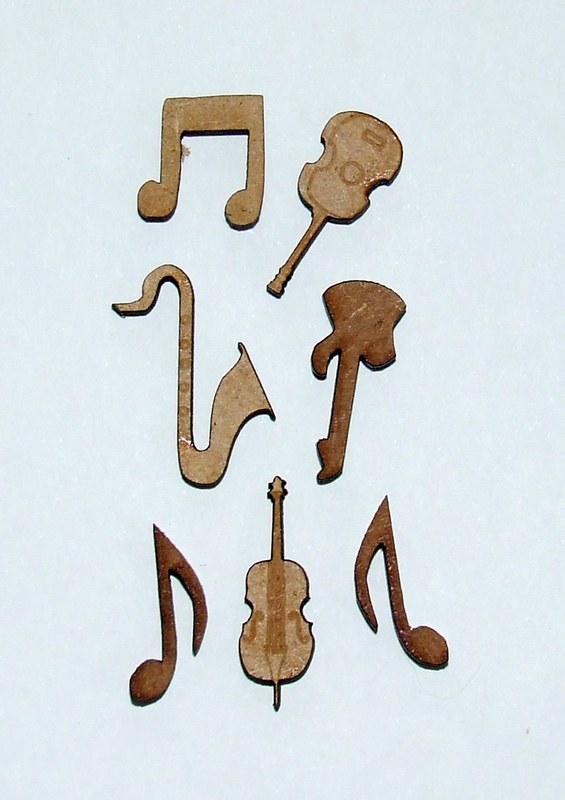 These omissions delete two of the five essential components that make the Hallel a unique praise. By skipping these passages, what is left is, indeed, a beautiful praise, but it is not a fulfillment of the mitzvah of Hallel. Only when one recites the full Hallel on a weekday is it considered blasphemy. Therefore, the custom of the community of Bavel was to recite a partial Hallel on Rosh Chodesh, thus praising Hashem for his wondrous deeds, without performing an act that could, G-d forbid, imply blasphemy. This is why Rav saw no reason to interrupt them. DO WE RECITE A BRACHA ON “HALF-HALLEL”? As we mentioned, Hallel on Rosh Chodesh is a custom and not a takanah of Chazal. Do we recite a bracha before reciting this partial Hallel, since reciting it is, technically, not a mitzvah but a custom? This question is disputed by the Rishonim. Rambam rules that one does not recite a bracha before doing a custom (Hilchos Chanukah 3:7). This approach is the prevalent practice among the Sefardim and Edot HaMizrach in Eretz Yisrael, who do not recite a bracha on Hallel on Rosh Chodesh (Shulchan Aruch, Orach Chayim 422:2). Tosafos (Taanis 28b), however, rules that one may recite a bracha on Hallel on Rosh Chodesh and the last days of Pesach, and this is the universal practice among Ashkenazim (Rema). DOES ONE RECITE “HALF-HALLEL” WHEN DAVENING IN PRIVATE? The Gemara rules that an individual need not recite partial Hallel on Rosh Chodesh, but that once he began reciting Hallel, he should complete the partial Hallel (Taanis 28b). The custom among Ashkenazim is to recite partial Hallel with a bracha, even when davening alone. However, one should make an effort to recite the Hallel together with the tzibur, in order to avoid any shaylah. For this reason, if someone arrives late in shul, he should recite Hallel with the tzibur and daven afterwards. If he is in the middle of Pesukei Dezimra when the tzibur begins Hallel, he should recite the Hallel with the tzibur, as if it is part of Pesukei Dezimra (Mishnah Berurah 422:16). Hallel, like Shmoneh Esrei, is one of the prayers that must be recited in its proper order (Megillah 17a). If someone misses a word or sentence, he must return to the place he omitted (Rema, Orach Chayim 422:6). I was once in shul on Chanukah, and the chazan inadvertently skipped Lo Lanu and recited the subsequent paragraph, Hashem Zecharanu. The chazan was a talmid chacham, and, upon realizing his error, he recited Lo Lanu and then repeated Hashem Zecharanu. Although the lay people in the shul did not understand why the chazan had repeated the paragraph, he had, indeed, followed the correct procedure. Are women required to recite Hallel? The mishnah implies that women are exempt from reciting Hallel (Sukkah 38a). This is because Hallel is a time-bound mitzvah, from which women are absolved. However, some poskim rule that women are obligated to recite Hallel on Chanukah and Pesach, since it is recited in regard to miracles that benefited women. According to these poskim, women are absolved from Hallel on Sukkos and Shavuos, since it is recited only because of Yom Tov and not because of a miracle (see Tosafos, Sukkah 38a s.v. Mi; Toras Refael, Orach Chayim #75). The logical basis for this distinction is that women are required to observe mitzvos established because of miracles that benefited them. This is why they they are required to kindle Chanukah lights, to hear Megillah on Purim and to drink the four cups of wine at the Seder (Megillah 4a, Shabbos 23a; Pesachim 108b). To the Jew who yearns to make Hashem’s presence an integral part of his life, nothing is more distressing than when Hashem hides His presence. Yet, in today’s world, not only is Hashem’s presence hidden, but much of modern society ignores His existence altogether. How can we safeguard ourselves from this influence? Reciting Hallel with tremendous emotion and reliving Hashem’s miracles rekindles the cognizance of Hashem’s presence. The moments that we recite Hallel can encapsulate the most fervent experience of His closeness. In the merit of joyously reciting Hallel, may we see the return of the Divine Presence to Yerushalayim and the rededication of the Beis HaMikdash, speedily in our days.